The pioneering research of Professor Lloyd Kasper while at Geisel School of Medicine, Dartmouth College, and Javier Ochoa-Repáraz at Eastern Washington University, has revealed that microbes living within our gut contain and release compounds such as a specific bacterial sugar known as a polysaccharide that can regulate the development and function of our immune system, and excitingly may represent a new class of treatment for multiple sclerosis. 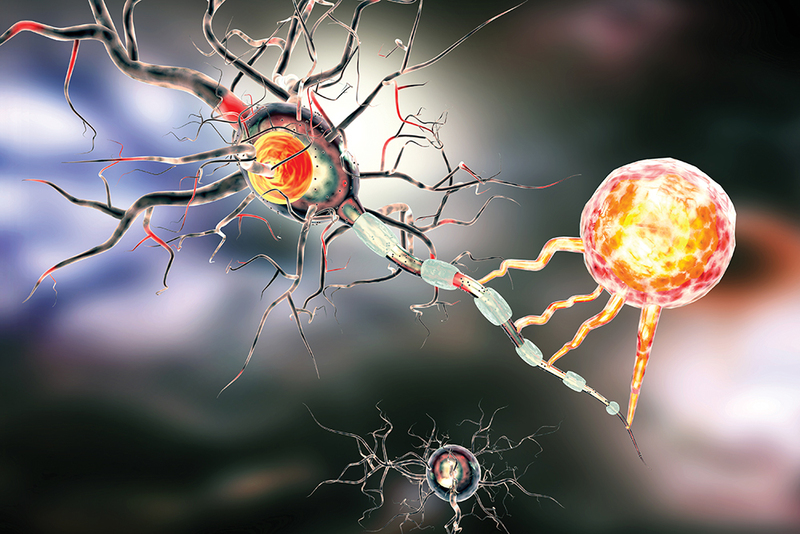 Multiple sclerosis (MS) is an inflammatory disease that leads to severe damage to the human central nervous system (CNS) and progressive disability. The overall incidence is increasing and current estimates suggest that it affects as many as 1,000,000 individuals in the United States and over three and a half million patients worldwide. MS is a chronic autoimmune disease, where the body’s defence system, the immune system, starts to attack the body’s own tissues, causing inflammation and damage. Although MS can be considered a total brain condition, the specific disease process in MS is the immune system attack of the coating that protects nerves, called myelin, resulting in damage that disrupts the messages travelling between the brain and the rest of the body. This attack is to both white and grey matter brain tissue causing a wide range of neurological difficulties including limb numbness, loss of balance, tremors, vision, memory problems, and dysfunction of speech or swallowing. Relapsing-remitting multiple sclerosis (RRMS) is an inflammatory condition that is the most common initiating pattern of the disease, characterised by periods where symptoms worsen, called relapses, followed by unpredictable periods of stability or remission. 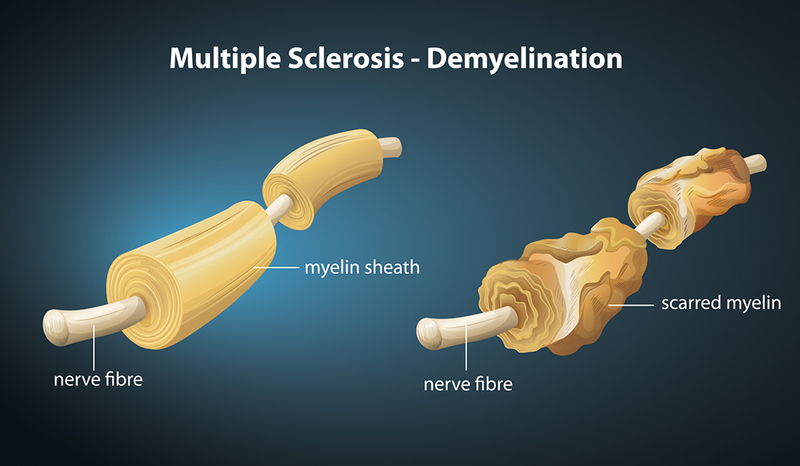 There is also a degenerative component in which the nerve damage is cumulative and the disease can eventually evolve into secondary-progressive multiple sclerosis (SPMS), where the immune inflammatory relapse attacks become less frequent but the degenerative disability continues without periods of remission. Those individuals develop secondary progressive disease six to ten years after the onset of disease. Current therapies are principally directed at the inflammatory relapsing phase of the disease. There is no cure for MS and currently approved treatments that modulate the immune system aim to reduce the frequency and duration of relapses thereby improving symptoms. Unfortunately, many of these treatments that strongly suppress the immune system can have serious deleterious side effects including cardiac problems, infection and long-term lymphopenia – a reduced number of white blood cells that play a vital role in the immune system. There is, therefore, an urgent unmet clinical need for an effective, easily administered treatment for MS, that prevents this autoimmune damage but does not compromise the immune system itself. Tackling this head on are Professors Lloyd Kasper, Professor of Medicine, Microbiology and Immunology while at Geisel School of Medicine at Dartmouth College and Javier Ochoa-Repáraz, Assistant Professor at Eastern Washington University. Professor Kasper is a co-Founder of the biopharmaceutical company Symbiotix Biotherapies Inc. Along with the other co-founders and the CEO of Symbiotix, Nader Yaghoubi, MD, PhD, he is developing an exciting new class of therapeutics, that takes advantage of the protective role played by the bacteria that live within us. The human body is colonised by a huge number of microscopic organisms or microbes, collectively referred to as the human microbiota. This ecosystem is made up of trillions of cells, including bacteria, archaea, viruses and fungi. Far from being neutral bystanders, these microbes live in a close relationship with us that is vital for normal health. The biggest populations of microbes reside in our gut where they aid digestion, prevent infection by disease-causing organisms, and educate our immune system on what to fight. It’s well recognised that the gut microbiota contributes to the normal function of the immune system, and the link between these microbes and human health is an exciting focus of future scientific research. Landmark research by Professors Kasper and Ochoa-Repáraz and colleagues has unveiled key insights into how these microbes interact with the human immune system and has changed our understanding of this special relationship that has evolved over thousands of years. In a recent study, the researchers demonstrated that special two-way interactions exist between the host and gut microbiome that offers benefits to both the host and the microbiome. In experiments using a mouse model of experimental autoimmune encephalomyelitis (EAE) in a specific mouse species (Non-Obese Diabetic – NOD mice) that resembles features of severe stages of secondary progressive MS, the mice were found to have an imbalance in their microbiome, compared to healthy controls. Interestingly, it was demonstrated that the disease affects the microbiota and vice versa, and that antibiotic treatment could minimise progression of disease and reduce mortality, providing a foundation for the idea that therapeutic interventions that target the gut microbiome at early stages of CNS inflammation can potentially limit the progression of this devastating disease. Excitingly, the researchers have also shown that powerful bacterial molecules can have far-reaching effects on the host and that they can actively suppress the human immune system. 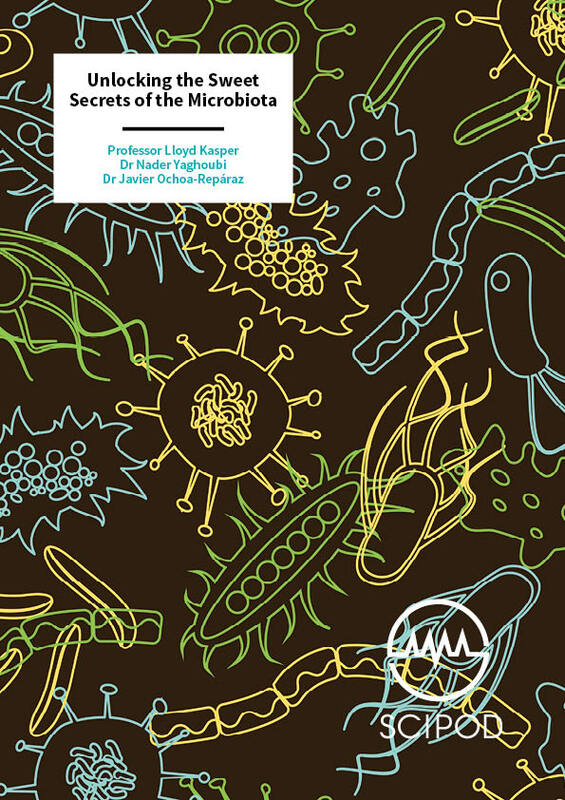 Exploring the link between microbial communities and autoimmune disease, Professors Kasper and Ochoa-Repáraz with their team have closely studied the gut bacteria Bacteroides fragilis (B. fragilis) for many years. In an elegant series of experiments, the team demonstrated that B. fragilis has a beneficial effect on the mouse model of MS. In this mouse EAE model, treatment with the B. fragilis bacteria slows the development of disease and induces immune tolerance. Taking a closer look at how B. fragilis bestows such protective effects, crucial to maintaining a healthy immune system, previous studies by the other two Symbiotix co-founders (Professors Sarkis Mazmanian from Caltech and Dennis Kasper from Harvard Medical School) found that eight different sugars (polysaccharides) are produced on the surface of the bacteria that envelope the bug and form its protective coat. Their published research found that one sugar, in particular, called Polysaccharide A (PSA), is responsible for the protective effect. Polysaccharide A has an interesting and unique structure, known as a zwitterion, in that it is both positively and negatively charged. In the absence of this zwitterionic property, the molecules lose their immunological potency for inducing activation of a population of protective immune cells known as regulatory T cells. The purified Polysaccharide A is protective both prophylactically (before the disease is induced) and therapeutically (after clinical disease is established) when orally administered to EAE mice, the experimental model of human MS, used in both academia and industry to study the disease. The purified Polysaccharide A showed a protective effect, delaying the onset and reducing the severity of the disease. The sugar significantly suppressed inflammation and prevented central nervous system attack of the myelin sheath protecting the nerves, thereby reducing the severity of disease in all the animals model of the disease. This ground-breaking work offers the exciting potential of giving rise to an entirely new class of therapy for MS. The team then went on to show that the Polysaccharide A produced by B. fragilis plays a powerful protective role in the immune system and is capable of shaping particular immune responses that involve Regulatory T cells. Regulatory T cells are white blood cells that play an important role in regulating or suppressing other cells in the immune system, thereby modulating the immune response. One of the primary inadequacies of the immune system in those with MS is that regulatory T cells are present in sufficient numbers in the circulation but appear to be dysfunctional in that they cannot effectively reduce the expression or production of the potent inflammatory molecule, interleukin-17. Regulatory T cells control the immune response and therefore have the potential to help prevent autoimmune diseases, like MS, and limit the extent of inflammatory disorders. Circulating throughout the body to sites of inflammation, regulatory T cells dampen and suppress the inflammatory process by releasing a specific anti-inflammatory molecule, interleukin-10, that acts in opposition to interleukin-17. Professor Kasper and his team took white blood cells from healthy human donors and demonstrated that the protective Polysaccharide A sugar stimulates dendritic cells – a type of messenger in the immune system that presents ‘foreign’ material to the T cells. Once stimulated, the dendritic cells activated the immunosuppressive regulatory T cells. Conversely, the team also demonstrated that T cells isolated from patients with multiple sclerosis have the capacity to acquire regulatory characteristics when stimulated in experimental conditions with the protective Polysaccharide A sugar. Excitingly, their work clearly demonstrates that a gut-derived bacterial sugar has the ability to mount a regulatory T cell response using peripheral blood cells obtained from those with multiple sclerosis. As there are very few substances that can increase regulatory T cell number and activity, Symbiotix Biotherapies Inc. is developing these sugars as an entirely new approach to treating diseases in which regulatory T cell activity is essential. Exploring the response to the protective Polysaccharide A sugar more closely, the team went on to identify the principal anti-inflammatory substance released by the T cells that can dampen the inflammation process in MS. This substance, interleukin-10, was then shown to be increased by regulatory T cells isolated from patients with MS following exposure to polysaccharide A in the laboratory. Similarly, enhanced levels of interleukin-10 production were observed with oral administration of Polysaccharide A in mice. Confirming that the Polysaccharide A response was interleukin-10 dependent, mice that could not produce interleukin-10 showed no beneficial response following treatment with the sugar. Working out the mechanisms by which the polysaccharide A elicits its immune dampening response, Professor Kasper and the Symbiotix team have forged an innovative new approach to the development of new treatments for MS. Symbiotix Biotherapies Inc. now aims to translate these groundbreaking research studies that have resulted in the first therapeutic molecule to emerge from the human microbiome, which they have named ReglemersTM, into novel therapeutics for MS. Professor Kasper and his team have moved this work forward with the support from the National Institutes of Health’s Small Business Technology Transfer (STTR) programme and a Phase II Small Business Innovation Research grant (SBIR), as well as investor capital. Their near-term goal is to advance this revolutionary treatment option for MS into human clinical trials. The aim is to provide an orally administered, safe and effective treatment for MS without the potentially deleterious side effects associated with some of the more recently Food and Drug Administration (FDA) approved therapies for treating relapsing MS. The company is now engaged in manufacturing and scale-up in preparation for the production of larger amounts of material for toxicology studies and human clinical testing. Striving to improve outcomes for patients with MS, Professor Lloyd Kasper and Javier Ochoa-Repáraz’s research could pave the way for reducing the damaging effects of the disease, improving chances for patients to enjoy a much better quality of life. Beyond MS, this bacterial-derived sugar has potential applications in other serious immune-mediated diseases, including inflammatory bowel disease. Lloyd Kasper is a Professor Emeritus of Immunology/Microbiology and Medicine at the Geisel School of Medicine at Dartmouth College where he has been actively involved in basic and applied immunology research supported by grants from the National Institutes of Health, Immune Tolerance Network, March of Dimes, the National Multiple Sclerosis Society and industry. His basic research interests have been in immunoparasitology and in the pathogenesis of multiple sclerosis and the role of the gut microbiome in the regulation of neuronal demyelination. When not doing science at Dartmouth, Kasper can be found painting and skiing in Taos, New Mexico. 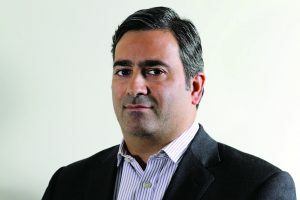 Nader Yaghoubi, MD, PhD, is President and CEO of Symbiotix Biotherapies, a pioneering microbiome company developing novel molecular therapeutics based on the microbiome. He has over 20 years of experience in the creation, operations and financing of life science companies. Dr Yaghoubi received an MD and PhD in Molecular Pharmacology from the combined degree program at Boston University School of Medicine. He is extensively involved in mentoring young companies and has served/serves as a mentor, advisor and reviewer with the Massachusett’s Biotechnology Council’s MassCONNECT program, Mass Life Sciences Center programs, Springboard Venture Capital Forum and numerous international and university business plan competitions. 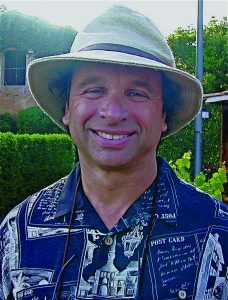 Javier Ochoa-Repáraz, PhD, is Assistant Professor at Eastern Washington University (EWU). He received his PhD in Cellular and Molecular Biology from the University of Navarra in Spain. 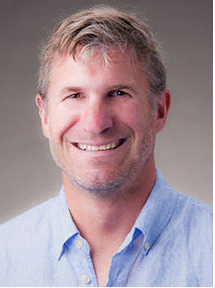 His postdoctoral training was at Montana State University and Dartmouth College exploring the impact of gut mucosal immune responses to microbes on inflammatory neuronal demyelination. With Dr Lloyd Kasper at Dartmouth College, he explored the mechanisms of immunomodulation induced by gut symbionts in the context of multiple sclerosis using animal models of the disease. 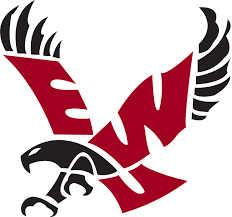 At EWU, he continues working on the reciprocal interaction between the gut microbiome and disease.